Are you looking for facials? Then you have reached the right place. Shobhana Beauty Studio provides you with facials leaving your skin feeling soft and clean. Our spa-like experience and top-notch products will give you a refreshing experience. We provide facials varying from fruit-based facial to a gold-based/platinum-based. It is used for major events making your skin look beautiful both inside out. These facials will make your face look awesome. Our professionals will render best services to you. No doubt you are beautiful our facials will add a sparkling touch to your skin. Thus, say yes to an awesome skin with our services making you look prettier than ever before. We have a beauty studio which is well-equipped with the latest facilities. The ambience of the make-up studio will make you come back in and back again. Thus, enjoy the luxury of having a great spa treatment after a long stressful week. It’s time for you to reward yourself with some fun and luxuries of life. Take a rest in our well-facilitated make up studios where in you will be given a great facial massage by our experts. Relax down and let the time stop for a while. Find yourself more rejuvenated after this experience. Our experts have a great experience in this. For every skin type they have a solution. Thus, no matter if you have any skin problem, acne, pigmentation or any other issue. We are one stop solution for you. The skin care specialist assists our market experts to solve various skin related issues. Our facial beauty studio and spa will make you look fresh and wonderful coming up prettier for your next party or that special day of your life. Apart from eating well, taking proper sleep and exercising well are some of the natural ways to look beautiful. For enjoying awesome results, blend these natural efforts with the services provided by our makeup experts. For this, you can approach ShobhanaBeauty Studio for good results. Our team comprises of experts that utilizes cosmetics, skin care products that will make your face glow beautifully. The four layers facial, Bridal facial, Gold Facial, Diamond Facialwill make you ready for the next wedding function, upcoming party and other important occasions. This service of ours will make your skin look healthier providing cosmetics that are safe for your skin type whether it is dry, normal or oily. With an experience of many years professionals at Shobhana Beauty Studio strive hard making you look beautiful. 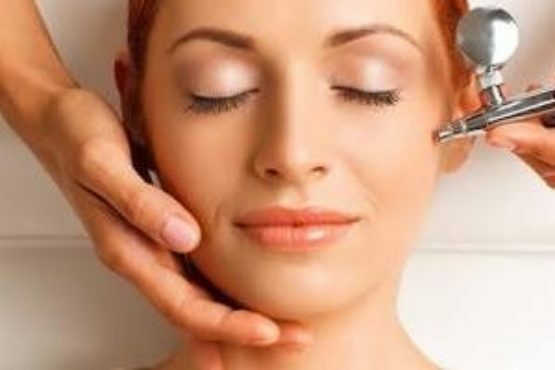 With our facial beauty studio and spa, you will find the desired results. We are privileged to assist you with the best. Thank you for approaching Shobhana Beauty Studio! Our teams of skin experts along with facial experts will ensure that you get great services making you come back in and again. From hospitality to facials our experts will make sure that you get the best from us. “Shobhana Beauty Studio” perfectly fits into the frame.So what you are waiting for, book your appointment for a glowing skin and say yes to a glowing skin.